Visit to Taj Mahal is followed by a sumptuous Champagne breakfast a top of Taj Khema. Explore Pink City of Jaipur and also visit Amer Fort and City Palace. Guests board the palatial train at Safdarjung Railway Station, Delhi and are grandly welcomed as per Indian traditions. Check-in formalities are also carried out on the first day. Return to comforts of Maharajas' Express or visit Itmad-ud-Daulah, another epitome of amazing architecture or visit Fatehpur Sikri, the ancient Mughal capital, as an optional tour. After that, guests can return to the comforts of the Maharajas' Express or may watch "Mohabbat-e-Taj Show" as an Optional Activity. Treat yourself with different cuisines on-board dinner. 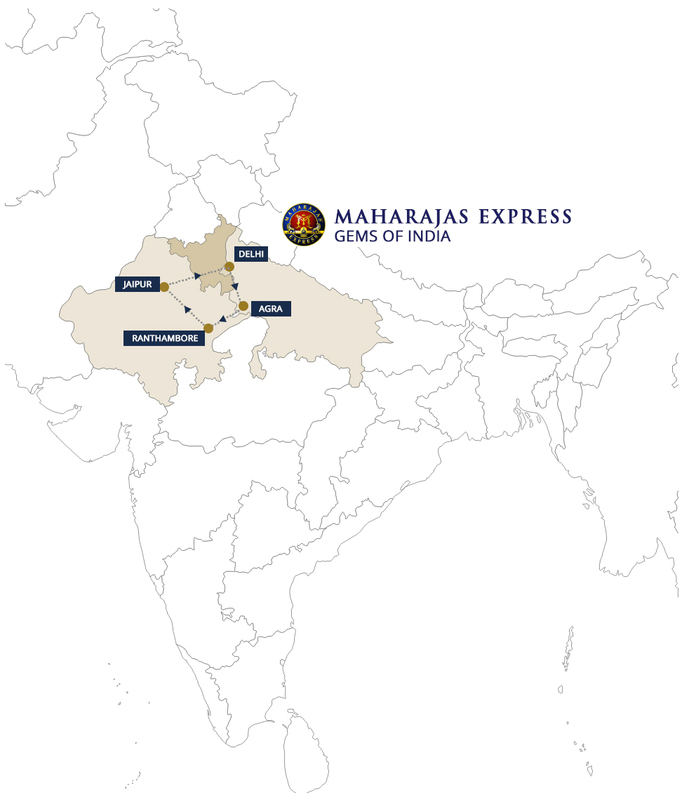 Each day gets more exciting in Gems of India journey and the third day begins with the train's arrival at Sawai Madhopur. Guests proceed for an exciting Game Drive at Ranthambore National Park, where they can spot the elusive tiger crouching amidst the sprawling greenery.